The festive season is a good time for the property market. Buyers suddenly emerge on the scene, so do lenders and developers with attractive offers. 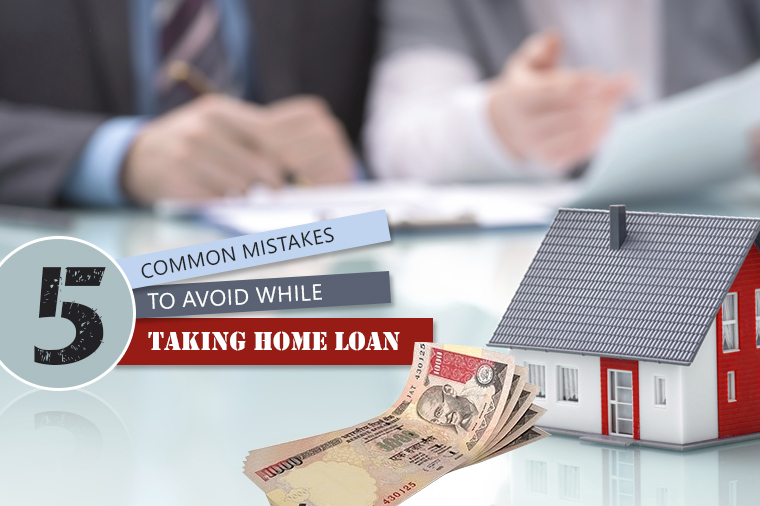 Sure, you can keep your housewarming on an auspicious day, but make sure you avoid the common mistakes that most people make while availing a home loan! 01. Choosing the Home Loan Lender First! Most people want to know how much home loan they will be eligible for, before they finalise to buy property. Nothing wrong with that. But you don’t have to go to your home loan lender just to get the eligible home loan figure from him. If you are below 40 years, just multiply your (and your spouse’s) yearly gross income by four and that should be a rough and ready amount of home loan that you should be able to get. The best way is to select your property and then find out if any other lender has funded for another flat in the same building. Also, if you approach home loan lenders now, you are likely to get slightly better rates, as lenders reserve their best rates for immediate disbursement cases. Do not rush and have patience before selecting the right bank. Also Read: List of Documents Required for Home Loan! A lot of people buy property under construction, assuming they can pay the down payment amount proportionately while the bank disburses the rest. This is not going to happen. All lenders without exception insist on your bringing in the entire amount of the down payment before they will make the first disbursement on the property. So keep your down payment ready before you approach any banker. The mantra here is to bargain and bargain more and more! You should shortlist four or five banks and get the short-listed banks to compete for your home loan. The cost of your loan depends a lot on your ability to negotiate. Remember that all terms and conditions of a home loan are negotiable. Interest rates offered by banks take your income and repayment profile into consideration, apart from, of course, your negotiation skills. Apart from interest rates, also check various charges like one time processing fees, pre-payment charges, legal fees, valuation fees and other hidden costs. If they are all onetime costs, add them as capital cost and then arrive at EMI. These days many lenders offer lower fixed rates of interest in the initial few years and shift to regular floating rate after the period. It is important to understand the impact on overall cost of such changes. So do not get cheated on this account. Do you want to pass on the home loan to your family? If the answer is no, then buy a life insurance and critical illness policy when you take a home loan. Life insurance policies provide monetary benefit on death of the borrower and ensure that the family members inherit the home, not the home loan. Critical illness policy will take care of the home loan liability if your income gets interrupted due to any major illnesses such as a stroke or organ failure. There is always a choice between Floating Rate vs. Fixed Rate. In loan with Floating rate, the rate of interest keeps on changing, based on rates of RBI throughout the loan period. It may increase, it may decrease. At the time of borrowing if the interest rates are low, in all probability the rates can go up in future and vice versa. In Fixed rate, rate of interest is fixed irrespective of changes in rate of interest by RBI and if the rate of interest is higher at the time of borrowing opt for Floating rate of interest as it would be a better option as you would get the benefit of lower interest rates in future. Ultimately you have to decide your repaying capacity per month based on your income, standard of living, other expenses, size of family, expense for education of children, medical care, children’s marriage etc. The term of loan also should not be too long, so that you pay huge interest rate and in future your hands remains tied due to EMI commitments. Normally housing or home loans are advanced against the mortgage of house for which the loan is sought. Sometimes bank ask for additional security or mortgage or guarantee which to the extent possible, should be avoided. Some banks and finance institutions employ recovery agents, who adopt high handed techniques for recovery of loan. Sometimes they pressurize the borrowers in case of defaults and act like goons. Such banks should be avoided! The above listed common mistakes committed by the home loan borrowers are harmful for their finances. We hope it has been solved after reading article!